From the Aliens #3 comic book! 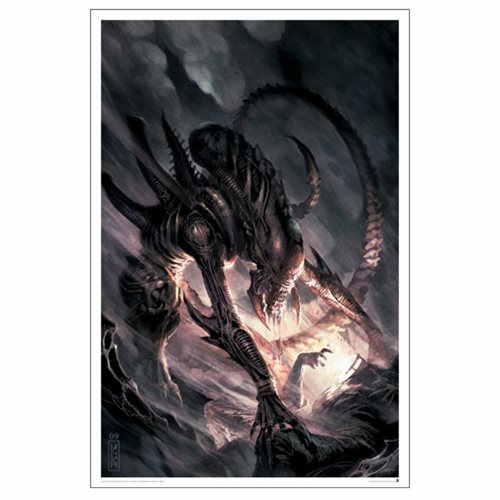 This Aliens: Issue #3 by Raymond Swanland Lithograph is a beautiful piece of art sure to impress even the most discerning of Alien fans. Lithograph is a limited edition of 395 pieces and measures 24-inches tall x 16-inches wide.